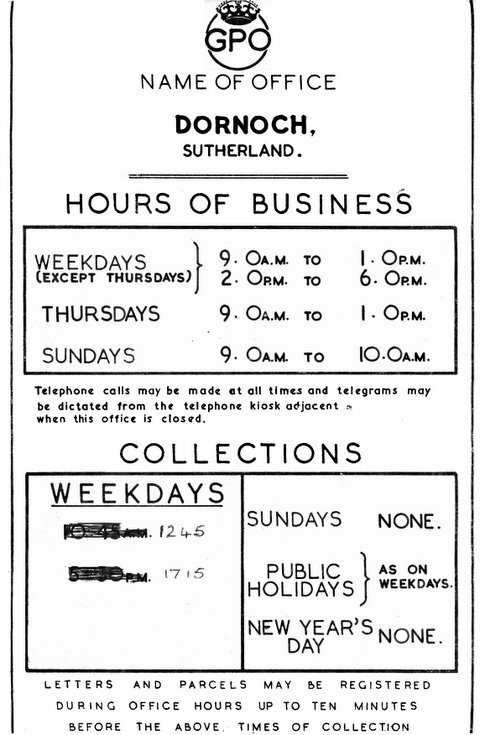 Dornoch Historylinks Image Library - Post Office opening hours etc. Post Office opening hours etc. Notice giving details of opening times and collections at Dornoch Post Office. This was in the old Dornoch post office while it was used as a tourist and admin. office by the Highlands of Scotland Tourist Board.